TRP Accessories look and perform great right out of the package. 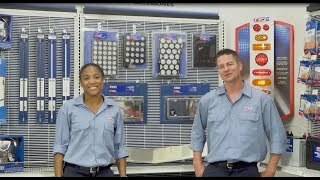 PACCAR Parts resident expert Buster Arthur discusses the features and benefits of TRP® Air and Electrical 3 in 1 Lines. 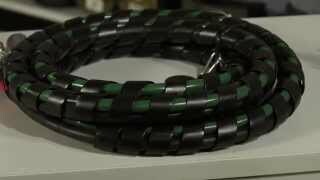 Organization, abrasion and kink resistance are just a few benefits you’ll get with this hose assembly. The tight connection also blocks out dirt and moisture upon plug-in. 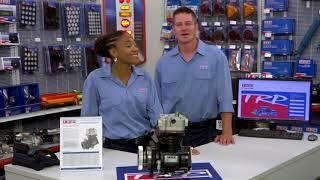 Matt and Rachel discuss the features and benefits of TRP Air Brake Compressors. The TRP Compressor line includes 10 of the most popular air brake compressor designs, and offer consistent performance, safety, and quality. 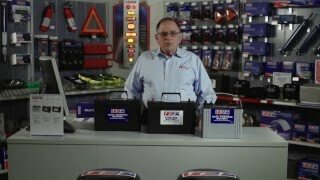 Matt and Rachel discuss the features and benefits of TRP Air Disc Brake Pads. TRP disc brake pads have been engineered to deliver consistent and reliable high braking performance. TRP Air Dryer Cartridges incorporate an innovative high-strength desiccant screen for less downtime and more travel time. Each cartridge protects your truck from contaminated water pools in air tanks, substantially lowering the risk for air and braking system failure. 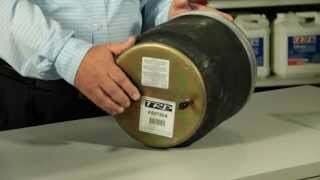 TRP Air Dryer Cartridges clean and dry no matter what climate you are traveling in. 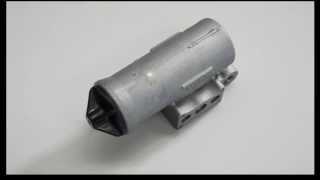 PACCAR Parts resident parts expert Buster Arthur discusses the features and benefits of TRP air governors. TRP air governors are brand new (not remanufactured) and include gaskets and attaching hardware. Plus, Buster offers tips for replacing your air governor. Comfort you want and performance you need. TRP Air Springs are designed and constructed to perform at a level that is essential for your heavy-duty vehicle. You can ride comfortably while knowing that your TRP Air Springs are ready to support you no matter what the job. The TRP 24-SI Alternator operates at 221°F, works reliably with hotter engines, and is backed by TRP’s 1-year warranty. A full TRP Alternator line is also available regardless of the make, model or age of the vehicle. When replacing alternators, always remember to check related items such as belts and batteries. 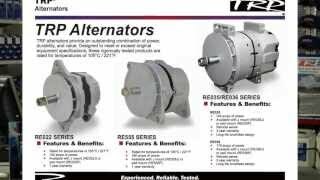 PACCAR Parts resident parts expert Buster Arthur discusses the features and benefits of TRP alternators. 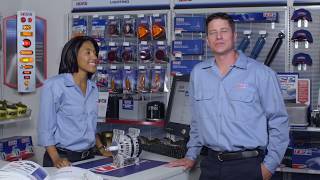 TRP alternators are tested to provide the power your trucks need -- regardless of the job. Able to withstand higher temperatures, TRP alternators provide an outstanding combination of power, durability and value. 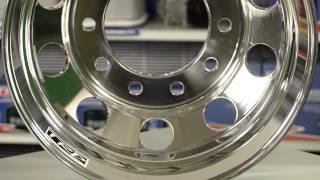 The superior quality and dependability of TRP® Aluminum Wheels is hard to match. Available in two sizes, machined, and unpolished or polished for versatile usage, TRP’s Aluminum Wheels provide you with performance and reliability on the road. When you need an option that runs cooler for extended brake and tire life in addition to being lighter for improved fuel mileage and a better payload, choose TRP’s Aluminum Wheels. 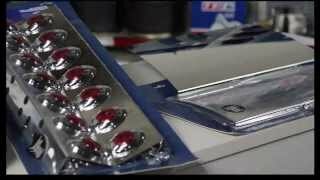 PACCAR Parts resident parts expert Buster Arthur discusses the features and benefits of the TRP audio program. 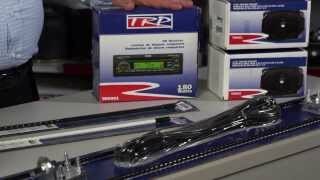 TRP's line of audio products includes high quality speakers, antennas and the TRP radio, which is designed to withstand the harshest environments you encounter on the road. Buster explains the improvements made to the TRP® Battery Program for heavy-duty commercial trucks, including the dual-purpose battery, starting battery and AGM (Absorbed Glass Mat) dual-purpose battery. One notable enhancement is the packaging handle that was modified for easier installation and removal. Buster also shares the advantages of the AGM Dual Purpose Battery, which not only recharges faster than standard flooded lead-acid batteries, but also prohibits acid leakage due to sealed-battery technology. These North American batteries are built to meet or exceed customer expectations, and to ensure quality and reliability. 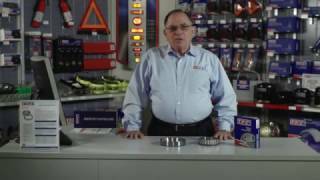 PACCAR Parts resident parts expert Buster Arthur discusses the features and benefits of TRP belts. 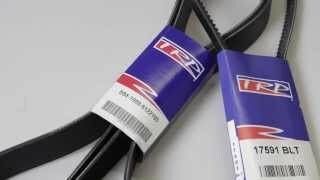 Designed to withstand the stresses of weather and road conditions, TRP belts provide long-lasting performance for your application.